If you’ve ever danced out of a spin class buzzing with endorphins, you know the power of the post-workout high. But did you know that those feel-good vibes can actually go much deeper? Flash forward to today, and Szum couldn’t be more proud of the body that has carried her through everything from powerlifting competitions to the death of her mother and an elective double mastectomy. 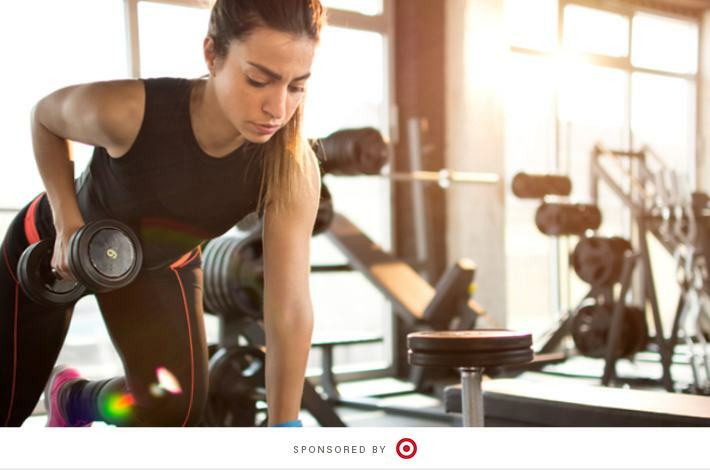 To honor strong women like Szum, we teamed up with Target to celebrate the beauty in bodies of all shapes and sizes by sharing their stories. Szum’s starts in a high school weight room. Keep reading for more of Szum’s inspirational story—from the start of her fitness journey to her decision to undergo a double mastectomy. Seeing the doubt on her face, her coach called over some football players working out nearby to observe the impressive feat he knew she was about to pull off. Now she had an audience, and her heart started to race. “Now I really have to lift it,” she thought, accepting the challenge. Moments like this one were crucial for helping Szum start to squash her self doubt, which had been planted by those third-grade bullies and watered by the teasing that continued up until high school. No one wants to be bullied, but Szum says proving the haters wrong is what helped her develop her inner strength—which she would need for what life threw at her next. In 2009, when Szum was still in high school, both her mom and aunt passed away from breast cancer. Concerned that genetics played a role, Szum and her father met with a genetic counselor, who said she could get tested for gene mutations linked to breast cancer once she turned 25. With her chances for developing breast cancer at 89 percent, according to her doctors, she was given three choices: undergo biannual screenings, take medication (which brought the risk down to 45 percent and could affect fertility), or have a double mastectomy (which brought the risk down to five percent but would prevent breastfeeding). She chose to undergo a double mastectomy with reconstruction in January 2019, and she credits weightlifting with giving her the confidence and poise she needed to make that decision. Since undergoing reconstruction surgery after her mastectomy, Szum had to find new bras to fit her new shape. She said most would gap in the cup area, but when she tried The Daydream and The Bliss from Target, she found her second-skin fit. Learning to value herself for more than her physical appearance was a game-changer for helping Szum deal with some really intense life events, which is why she’s thrilled to see major brands featuring body diversity more prevalently, like Target is doing with its new inclusive Auden bra line. This blog post is just woW! Good, I like most part of it , keep posting , YOu doing well!